Colorado consistently ranks as one of the healthiest states in America. It is no surprise, then, that Coloradans have gone bananas for a new outdoor winter activity that sounds insane to those in less active climes: fat biking. This snow-season innovation allows exercise-zany Coloradans to keep their wheels spinning, no matter the season. Find out where to fat bike in Colorado below. The comically wide tires bring back memories of clunky first-generation mountain bikes, when weight and agility weren’t main priorities. With fatter tires and handlebars and not-kidding-around treads, these new bikes aren’t speedy, but they can go just about anywhere, floating on the snow and giving people of all skill levels a new mode of exploration. Many ski areas offer lessons with staff instructors; the bikes’ three-point stance and low center of gravity make it an easy activity to pick up. 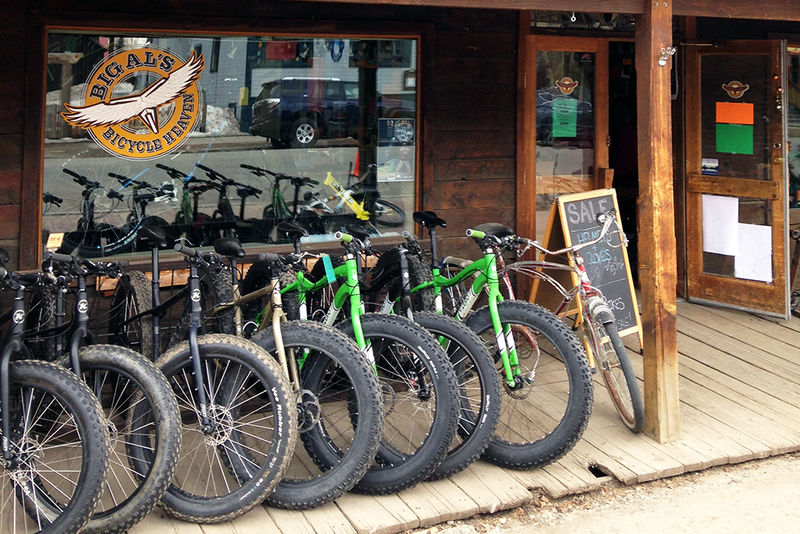 BootDoctors and Paragon Outdoors in Telluride offers half-day guided fat-bike tours that include rentals and a guide that will lead you to the best trail for your ability and the weather conditions. Absolute Bikes Adventure in Salida guides you through snowy backcountry on one- to five-hour tours, including one ride to the St. Elmo ghost town. Front Range Guides gives guided half- and full-day custom tours in Boulder, Denver and Fort Collins that include a “cycling ambassador,” rentals, transportation, lunch/trail snacks and a video of your tour. Breck Bike Guides in Breckenridge lets you join the staff for a snowy cruise from their downtown shop on a mellow loop or go big with an all-day adventure. Beer & Bike Tours in Fort Collins leads the way during fat-bike adventures on snow-packed trails or singletrack at Lory State Park and surrounding areas. Rent from their fleet or bring your own ride, then look forward to a local craft brew at the day's end. Ski biking (sometimes called snow biking) is another way to experience the beauty of a Colorado winter and also get your adrenaline flowing. It’s simply a bike with the wheels replaced by skis. Many ski areas offer lessons with staff instructors; the bikes’ three-point stance and low center of gravity make it an easy activity to pick up.